They did it! 2000 sheets in one day! Congrats to all who participated! Amy Chen will be out of the office for two weeks to attend two conferences between Monday, June 13 and Friday, June 24. During this time, John Fifield will be answering the instruction request form. A reminder that instruction requests should always be directed to the form, not to an individual, for cases like this when Amy will be out of town. When Amy returns, the instruction request form will return to her. 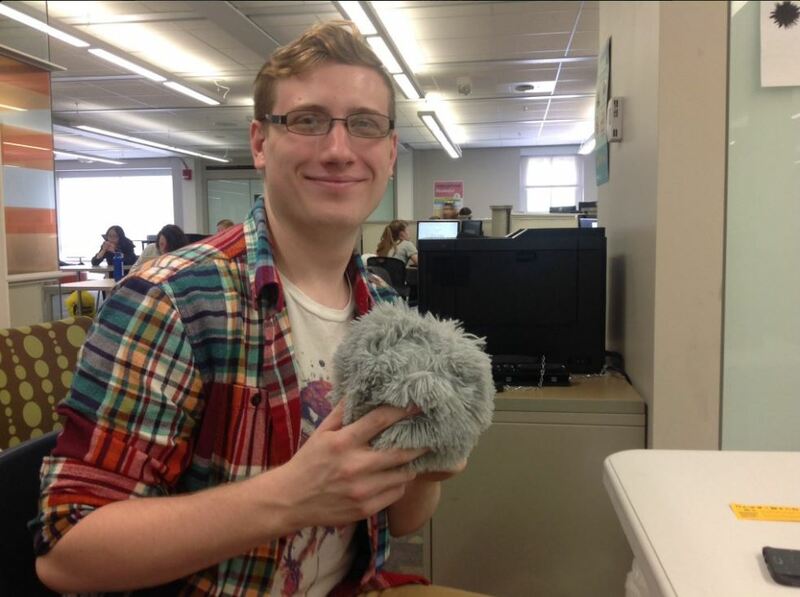 The tribbles multiplied this week, but they are contained. Don’t worry, we’ve got everything under control. 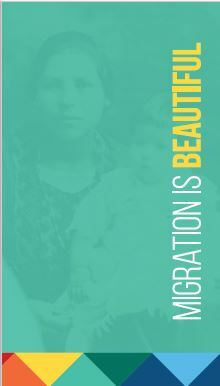 Preparations are underway to launch the Iowa Women’s Archives’ Migration is Beautiful website and accompanying 8×8-foot popup exhibit of Iowa Latina/o history at the national LULAC convention in Washington DC in July. Thanks to the Friends of the University of Iowa Libraries for making the physical exhibit possible! The Iowa Women’s Archives will be closed May 16-27th for painting. 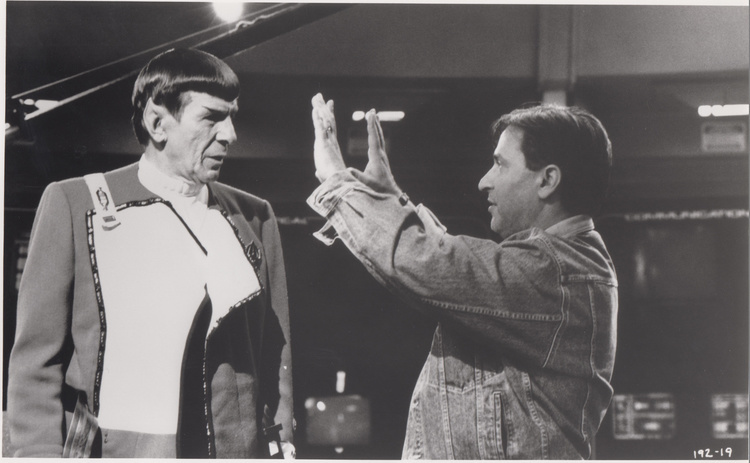 Talk of Iowa: Brinton Films Make Second Debut in 100 Years at World’s Longest Running Movie Theater featuring Greg Prickman, Head of Special Collections in an interview with Charity Nebbe. The Discovery of “Manly Health and Training”: Walt Whitman’s Long-Lost Guide to Getting the Body You’ve Always Wanted by Stephanie Blalock from the Digital Scholarship and Publishing Studio. 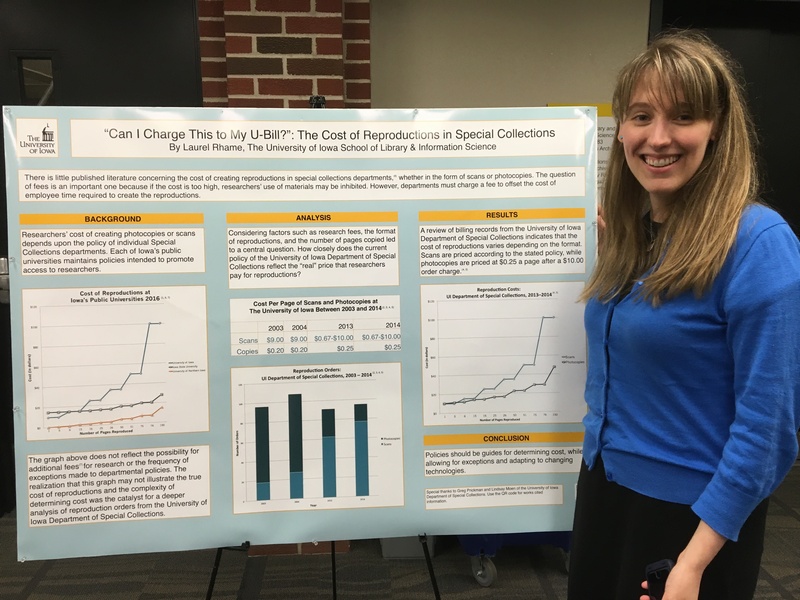 Kelly Grogg, Laurel Rhame, Ella von Holtum and Amanda Rasmussen, graduate student employees from Special Collections and the Iowa Women’s Archives, presented their posters last week as part of their Masters in Library Science. Both Amanda and Ella received ‘distinguished poster’ awards. 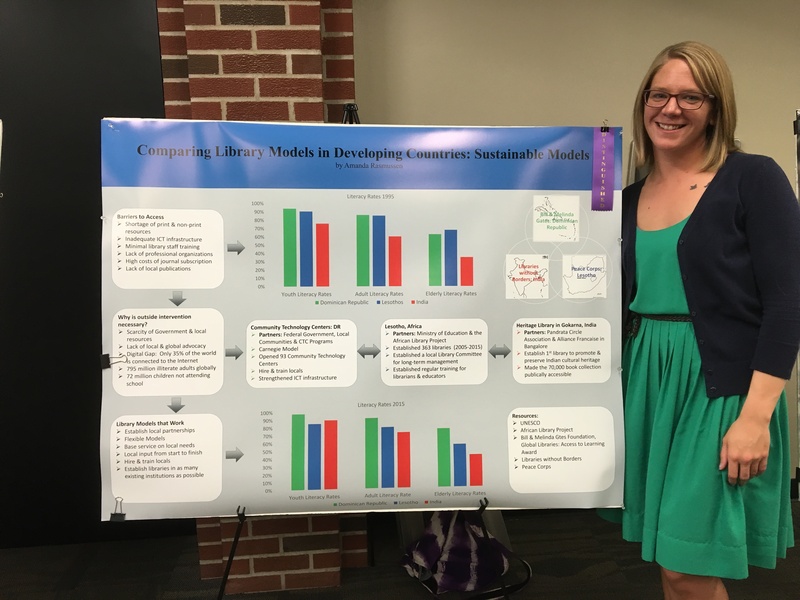 Congratulations to Kelly, Laura, Ella, Amanda, and to all of the students graduating this month from the School of Library and Information Science. 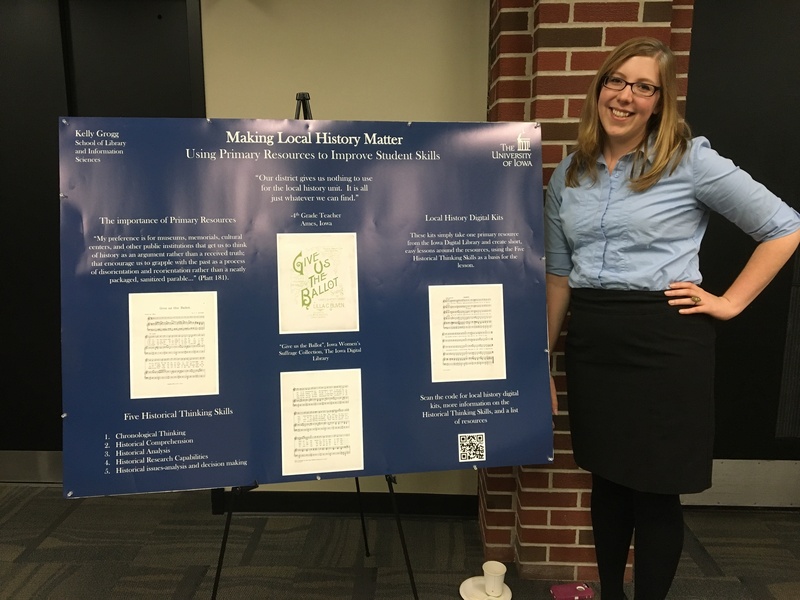 Congratulations also to Heather Wacha who successfully defended her doctoral dissertation in history this morning. RSVP on Facebook or the University Calendar. 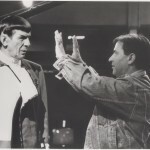 Meyer will deliver a brief talk, titled The Last Man To Understand Anything. There will be a Q&A session afterward. More details on the University Calendar. 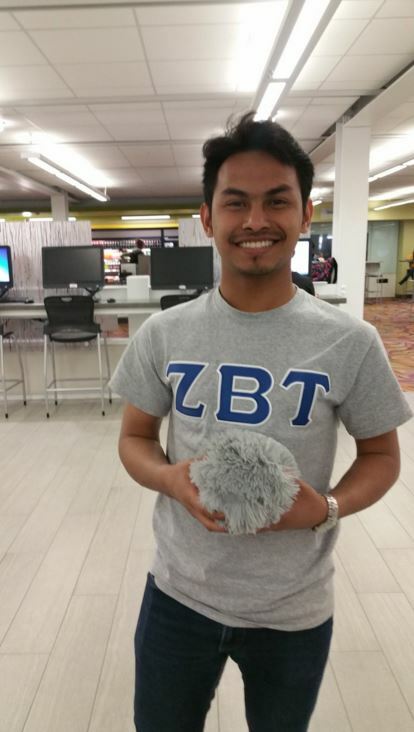 The Break From Busyness was an event in the Learning Commons everyday giving students a chance to do something creative to take a break from studying for final exams. 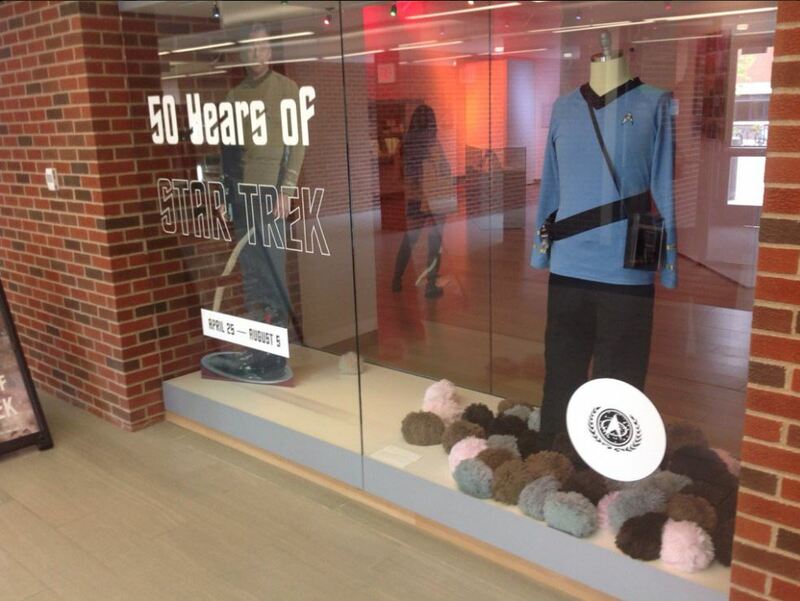 Colleen Theisen was there with tribbles the students could stuff and stitch to add to the 50 Years of Star Trek exhibition. 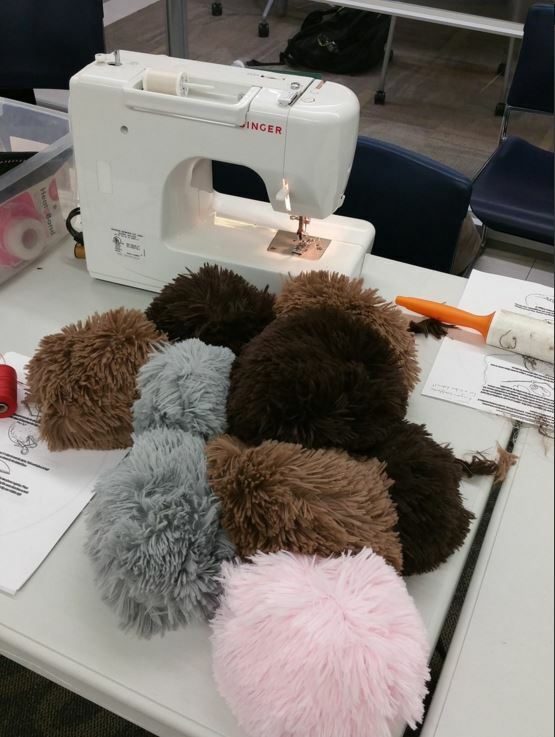 Students making a tribble received an “I’m a tribble maker” button and an entry to win the life size Captain Kirk cutout that is slowly being overcome by tribbles in the front case of the exhibition. 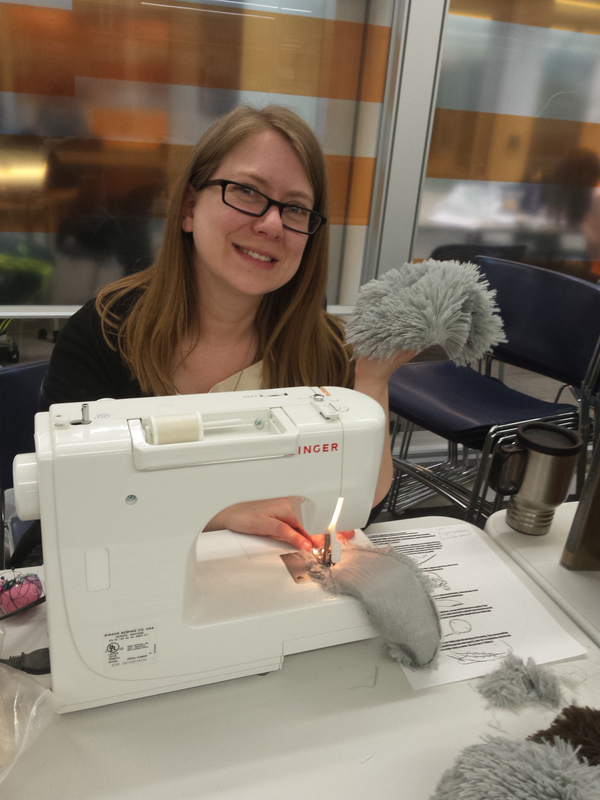 Watch for more tribble making opportunities throughout the summer months! It was my pleasure to attend the 27th DemiCon Science Fiction Convention in Des Moines last week. The UI Libraries had a table in the hotel lobby that was seen by everyone in attendance. I gave out our coveted retro robot and rocket ship squeeze toys and dozens of our self-made zines that advertise our Star Trek and Doctor Who collections, along with a zine explaining the Hevelin Fanzine Digitization Project. I also spoke on a panel (one that fans called the “best panel in years”) on Victorian Horror with Artist Guest of Honor, Alan M. Clark. 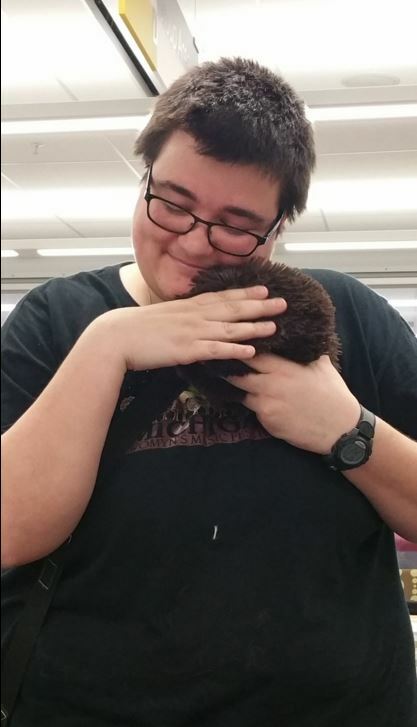 Finally, I delivered our annual, “State of the Hevelin Collection,” presentation to people who knew Rusty Hevelin and loved him. All the news regarding digitization of fanzines and the progress made cataloging pulp magazines and books from the collection was very well-received. All in all, it was another great opportunity to reach out to the people of Iowa to let them know what we do in Special Collections (and have some fun). 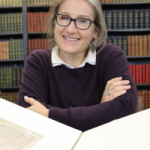 Acquisitions & Collections Management Librarian Margaret Gamm’s 6 second Vine videos opening new acquisitions have been viewed over 1.5 million times total. 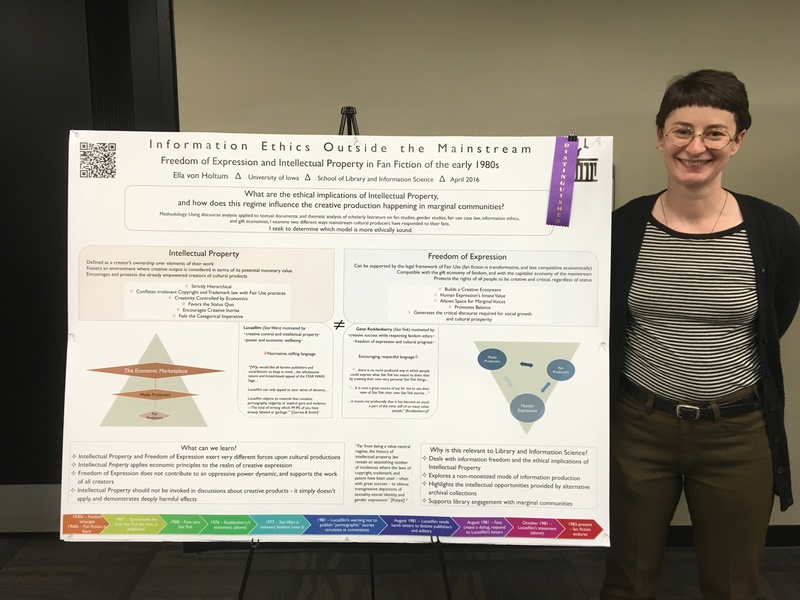 Congratulations to Margaret Gamm and Colleen Theisen on their continuing work to deliver information about our holdings in online communities. Seen below is Deep in the Yellow Woods from 2015. It is a carousel format book hand sewn by the artist, Lois Morrison, and featuring a fantasy poem also written by the artist and is one of 20 copies. This week we posted a new episode of Staxpeditions exploring the F850 call number range requested by our follower Dana Gerber-Margie.